The Ugly Truth about Looking for a Cure for Fibromyalgia and a Cure for ME/CFS that few dare to admit! Cure, Remission, Recovery – Not Just a Play on Words! 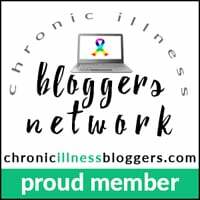 There is much information out there on how to diagnose Fibromyalgia Syndrome (FMS) or Chronic Fatigue Syndrome (CFS) (also described as Myalgic Encephalomyelitis or ME). And whilst a diagnosis can be elusive for many people suffering with this illness, there is certainly no doubt for them that they are ill, even if their doctors, family or friends don’t always share this certainty. Many so-called “Recoveries” are little more than symptom suppression and management! 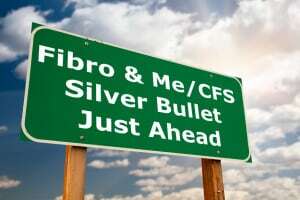 So what is a cure for fibromyalgia or ME/CFS? What is remission or relapse? And what is an accidental recovery as I describe it? A cure is the end of a medical condition; the substance or procedure that ends the medical condition, such as a medication, a surgical operation, a change in lifestyle, or even a philosophical mindset that helps end a person’s sufferings. It may also refer to the state of being healed, or cured. So cure is an “end” of a medical condition which implies that there is no chance of the patient relapsing. 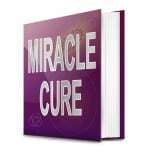 In my mind, the word cure also suggests a guaranteed positive result as well as a single treatment that works for all people. This is why I am not comfortable with this word for Fibromyalgia and Chronic Fatigue Syndrome or ME. But when I think about, are there really ANY conditions that have a cure under that definition? Cancer, heart disease, depression, MS, ALD, AIDS, Diabetes, the list is nearly endless. None came to mind for me, so perhaps the word cure is a misnomer. Even for simpler things that such as bacterial infections where effective antibiotics exist – does it guarantee that the infection will not come back or that re-infection will not occur again? So given that nobody knows of a “cure for Fibromyalgia and Chronic Fatigue Syndrome” that works the same for everyone, perhaps the words remission is more appropriate. However, the word ‘temporary’ in the definition is obviously very negative and not necessarily correct. Because of course there is no guarantee that a relapse will occur, so how can we call it temporary? My preference is for the word recovery. So what do I mean by recovery? A recovery is a restoration of health or functioning according to Wikipedia. So we are talking about being asymptomatic – sounds pretty good right? Better than cure in fact because even if you are ‘cured’, doesn’t mean that you have a restoration of your health. And a recovery can be full or partial. In the end, no matter what you say, it is going to be somewhat subjective. And in that lies the power of the sceptic. Don’t get me wrong, I have no problems with sceptics. I am sceptical myself, pathologically so in my later years of suffering with ME/CFS and Fibromyalgia. Frankly, I think it is perfectly reasonable to be sceptical and I think most of us who have had the illness have earned that right through countless trials and tribulations. But the questions is; Does this scepticism serve us? I think it depends on how far we take it. Given that there are way too many claims of treatments or explanations for our symptoms that frankly either lead nowhere, or provide temporary covering up of symptoms only, a healthy dose of scepticism makes sense. And anyone who has gone through what seems like a never-ending bleeding wallet for tests, treatments and empty promises, all whilst having a very limited income due to their inability to work, has to find some way of dealing with things. But it can go too far. Way too far! And when people make a full recovery and people say that they hence never had the illness or had something else, that is too far in my view. There is no scientific basis for such claims. I think most of us find it offensive that given that we have to ‘prove’ our invisible illness with the medical community for so many decades and have been labelled as depressed or hypochondriacs, that finally now when people at least recognise it as a real physical illness, that some within our own ranks would stoop to accusing each other of never having had the illness, just because they got well again. But I do agree that people often haven’t actually recovered when they claim they have! SO WHAT IS RECOVERY FROM FIBROMYALGIA/ME/CFS? In previous blogs, I have summarised some the main symptoms of ME/CFS/FMS. Some people have lots of various symptoms and some people have few. 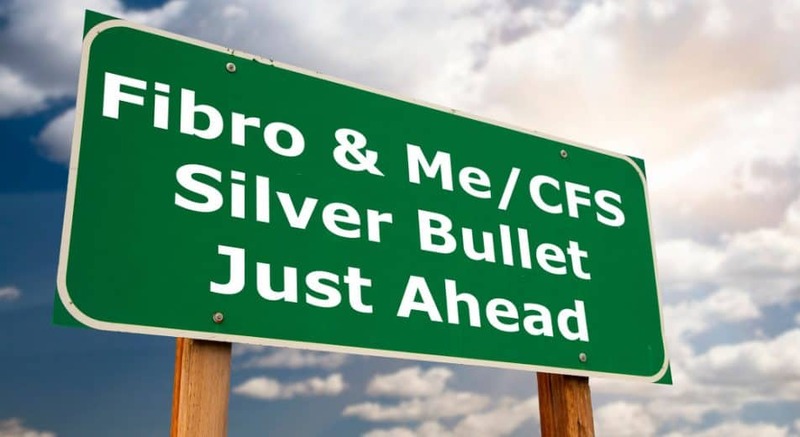 Clearly many of us find it to be an ever-increasing list over the years and we often see how Fibromyalgia pain and Multiple Chemical Sensitivities get added to the collection of symptoms of ME/CFS. But if you cover up your symptoms using a range of medications, hormones and supplements that reduces your symptoms to something resembling normal – is that recovery? For instance, let’s look at obesity. Regardless of whether you agree with the American Medical Association classifying it as a disease, is dressing in a corset covered my flowing black clothing which all makes you look slimmer a cure or a recovery. Clearly not! I have come across people who tell me they are recovered and rattle of 20 supplements, regular IV infusions, hormone treatment and so on and then say that they can function fairly normally again. That is not a recovery, that is a chemistry experiment! Or some people manage to reduce their symptoms by severely limiting their physical and mental activity. They avoid all stress, eat the “perfect diet” and stay strictly inside a very limited physical activity envelope. In fact many people do this over the years to manage their symptoms and limit the severe fibro flares or bouts of symptom exacerbation. Does anyone see this as recovery? Some people do, but not I. But being symptom free whilst maintaining a reasonable diet and reasonable lifestyle (you know, work rest and play) with a few supplements, surely can still be seen as a recovery. The question is about how much support and diet restriction exists and how much stress management or lifestyle limitation exists. But trying to quantify that is difficult and agree on an exact formula may be difficult. Yet I would hope that we can all agree that getting your life back, being able to be symptom free and able to work full-time, enjoy all the normal social activities and reasonable exercise (perhaps not ultra-marathon running) all without relying on any medication has to be seen as worthwhile. Surely, regardless of whether we term it partial or full recovery, THAT has to be seen as FANTASTIC, right? I wonder if sometimes we lose perspective of things when we have suffered with the illness for too long? I remember when I recovered it became pretty clear that I stopped getting the bouts and my symptoms had reduced to a point where I thought they were gone. But whilst pain, fever, insomnia, gut dysfunction, brain fog and so many other symptoms are clearly identifiable, others are more difficult to quantify. The two that come to mind are general malaise and energy. Even a year after I had fully recovered, I noticed that I felt more energetic and that my health felt more robust than before. So did I just become fully recovered now, or was I fully recovered 12 months earlier? My view is that we just don’t have a reference of what is normal after so many years of illness. Besides that ‘normal’ for many people is far from being vibrantly healthy. When I came out of my ‘lost decade’, I suddenly was 10 years older, severely deconditioned with severe muscle loss and no cardio vascular fitness. What was I comparing to, the old self? But then you keep wondering, how much better can it get. Well, average Joe next door that never had the illness could be asking the same question! What is their health like? Could they have more energy? Could they have a stronger immune system? Probably yes. But because they have been symptom free, they don’t constantly consider this and scrutinise this. In fact, let’s face it, most of us were that average Joe (or Jane) before we got ill. So whilst a one-fit-all single treatment magic “cure” for ME/CFS and Fibromyalgia may not be available now or ever, I can say that recovery is definitely possible. 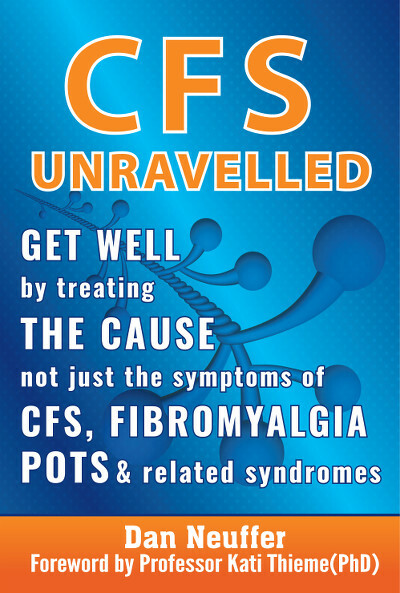 Regardless of what some people say, if you look at the symptoms and experience of many people that are bold enough to claim recovery, you can clearly see that they really had ME/CFS/Fibromyalgia. But for some people, clearly no matter what is put before them, they will remain sceptical. It may feel like a safer place, oversceptical attitudes are a road to nowhere. And whilst many people experience what I would call an accidental recovery (a recovery where they don’t know WHY they recovered), I believe that those that recover understanding WHY they got ill and WHY they recovered have a much stronger chance of never relapsing from their “remission”, as long as they continue to value and treasure their health and live a normal healthy lifestyle full with all the experiences that life has to offer. In my mind recovery of health has to be about your body functioning well and giving you access to the experience of good health without being reliant on external powerful drugs or severe lifestyle restrictions. The ugly truth is that getting hung up on whether there is a cure for fibromyaliga or ME/CFS, or wether there isn’t, or whether recovery is possible or not, could waste years of your life needlessly. My message to everyone is to just focus on getting your health back. As I chronicle my healing journey with words and insightful images at Boomer Muse, I’m struck but the confusing array of labels and terms. My message: we are not our illness or letters, CFS, ME etc. I refuse to let an illness define me and focus on wellness instead. If you’d like to partner with me to share my motivational photo quotes, let me know. Of course we are not our illness and commend you on focussing on wellness! enjoying your videos and info – thanks ! Good to hear Jen – thanks for the feedback! There is no ‘cure’ in the sense of a magic bullet that works for everyone, but people can become fully well again. Thanks for the fantastic comment. I have learned that having a positive attitude is key to recovery, and you seem to have that in droves. To be honest, I expect I would have had success much sooner if I could have managed to be more like you!